On Friday, the evergreen buck went down versus other currencies after weaker than anticipated inflation data because market participants worried that the key US bank could decelerate rate lifts. 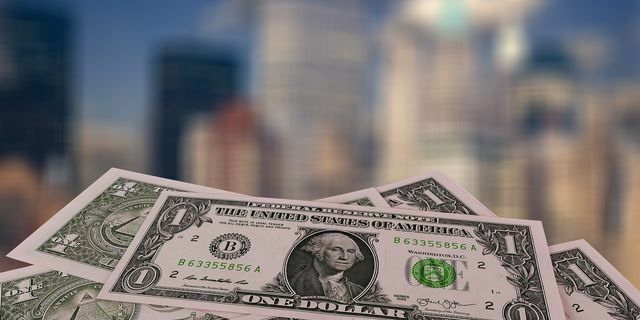 Estimating the greenback’s purchasing potential versus its primary counterparts the USD index went down by 0.06% demonstrating an outcome of 94.47. Thursday’s data revealed that consumer prices in America rallied less than anticipated in August, leaping by 0.2% in contrast with hopes for a 0.3% rally. The inflation numbers showed up a day after data disclosed that the producer price index inched down by 0.1% in August, thus driving worries that the key American financial institution could have its monetary policy eased. Market participants are also awaiting a slew of economic reports later in the day. They’re in particular interested in industrial output, expert and import prices, and retail sales. Trade talk efforts between China and America cooled after US leader told that his country didn’t require making a deal with China. China had agreed to participate in fresh trade negotiations later in September because the Asian country is concerned over averting new levies. Nevertheless, China Daily informed that the Chinese authorities aren’t going to surrender to the American demands. The common currency and sterling rallied on the weaker greenback because the Bank of England and ECB decided to keep rates on hold on Thursday. The common currency EUR/USD rallied by 0.12% reaching a two-week maximum of 1.1704. The currency pair GBP/USD jumped by 0.14% trading at 1.3126. The Turkish lira slumped a bit having soared on Thursday after the country’s major bank had interest rates lifted more than anticipated. The currency pair USD/TRY rallied by 0.08% trading at 6.0863. The bank’s rally occurred after Turkish President Tayyip Erdogan restricted the use of foreign currency in domestic transactions, thus suppressing the Turkish lira.